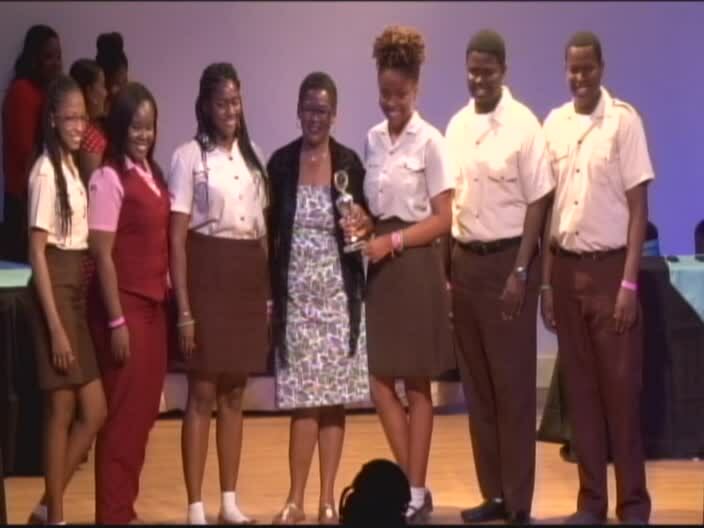 NIA CHARLESTOWN NEVIS (February 27, 2017) — Team Nevis emerged victorious among seven islands clinching the 45th annual Leeward Island Debating Competition (LIDC) title. The win came at the end of four days of debates at the Nevis Performing Arts Centre (NEPAC) on February 27, 2017. Williams and Brantley, proposed the moot “The atrocity of our age is the billions of dollars spent on sports” to beat defending champions Team Antigua /Barbuda in the final debate with a total of 578 points, capturing the capture the title for the eighth time. Defending champions Team Antigua’s Kelsey Harris and Princess Brown amassed 489 points and placed second. Nevis also earned the Best Overall Speaker Award in K-Jel Smithen, while Gabriella Brantley was named Best Speaker for night four and Rol-J Williams Best Speaker for night 2. Team Montserrat’s Dawud Chapman captured the Best Speaker Award during the debate on night one. Team Anguilla’s Shakaila Carty picked up the award for her performance on night of the debate. 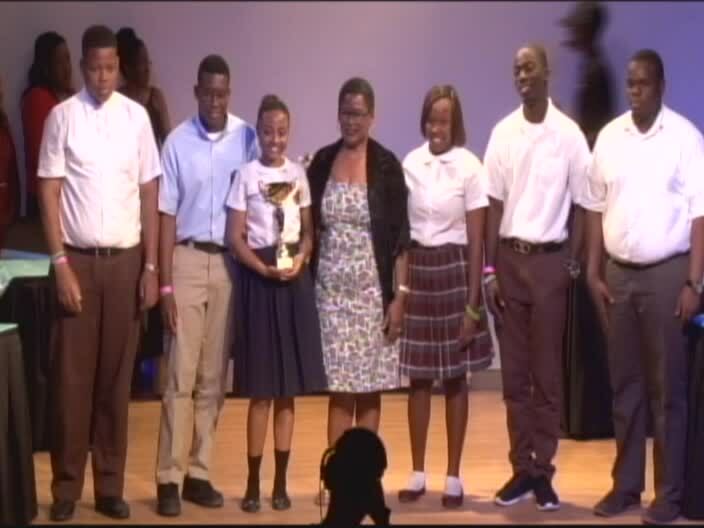 Team St. Kitts’ khalifa puncheon was awarded Best Speaker for debates on night one and three. The other members of Team Nevis were Rickila Hanley, Mc Kebou Tross and Jaheel Linton. For Debate 1 between St. Kitts and St. Maarten. The topic was “The high cost of youth unemployment relief programmes outweighs the benefits”. St. Kitts won. Debate 2 was between Nevis and Montserrat. The topic was “The global rise in anti-immigration sentiments is justified”. Nevis won. For Debate number 3, the British Virgin Islands took on Anguilla. The topic was “Caribbean Educational practices lag far behind other regions”. Anguilla emerges winners. On the third night, the winner of Debate 1 took on Antigua, on the topic “Caribbean cybercrime legislation will lead to the suppression of free expression”. Antigua won. Also on that night, the winner of Debate 2 took on the winner of Debate 3. The topic was “Lack of emphasis on the Arts will be detrimental to human development in the Caribbean”. During the closing ceremony, former teacher at the Charlestown Secondary School (CSS) John Hanley, was presented with the George Irish Award for his contribution to debating for three decades. The LIDC was founded in 1972 by George Irish of Montserrat. The event which began with three participating islands of Montserrat, St. Kitts and Antigua has evolved into an annual event. Teams St. Kitts and Anguilla have won the title 10 times each, Team Antigua and Barbuda has won it nine times while Teams St. Maarten and the British Virgin Islands have never won the title.